Movable Feast with Fine Cooking, a series of 13 half-hour TV shows spotlighting food and chefs across America, will premiere on KETC, channel 9 in St. Louis on Saturday, September 14 at 1:30 p.m.
Here’s a quick sample of what looks to be an enjoyable show, featuring spontaneous, pop-up feasts. Host for the show is Australia’s Pete Evans. Among the chefs to be spotlighted are Jacques Pepin, Marcus Samuelsson and a man who touched down in St. Louis briefly, Larry Forgione. The food looks good and the settings are spectacular. For more info, click on this link for finecooking.tv. 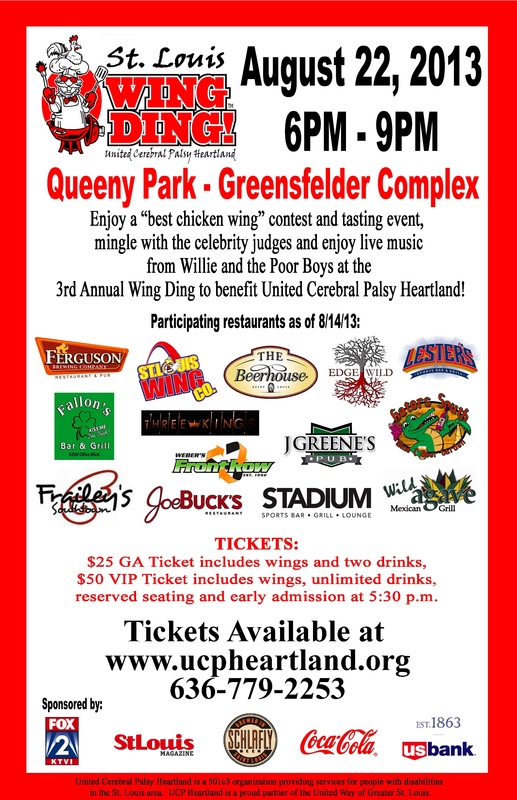 Thursday (8/22) night’s Wing Ding at Queeny Park was a great night with wonderful chicken wings and tasty beer. 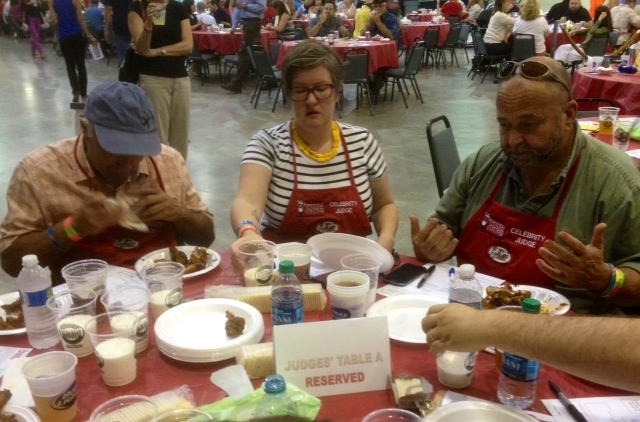 I enjoyed the opportunity to visit with the other judges, event guests and the restaurant folks who prepared the wings. That Pecan Brown Ale from Ferguson Brewing Company was a perfect way to quench my thirst after a plateful of wings. Big thanks, FBC! Judges included Allyson Mace of Sauce magazine, Michael Renner of Sauce magazine (preserving his reviewer anonymity) and Falk Harrison’s Chris Reimer (aka @RizzoTees on Twitter). 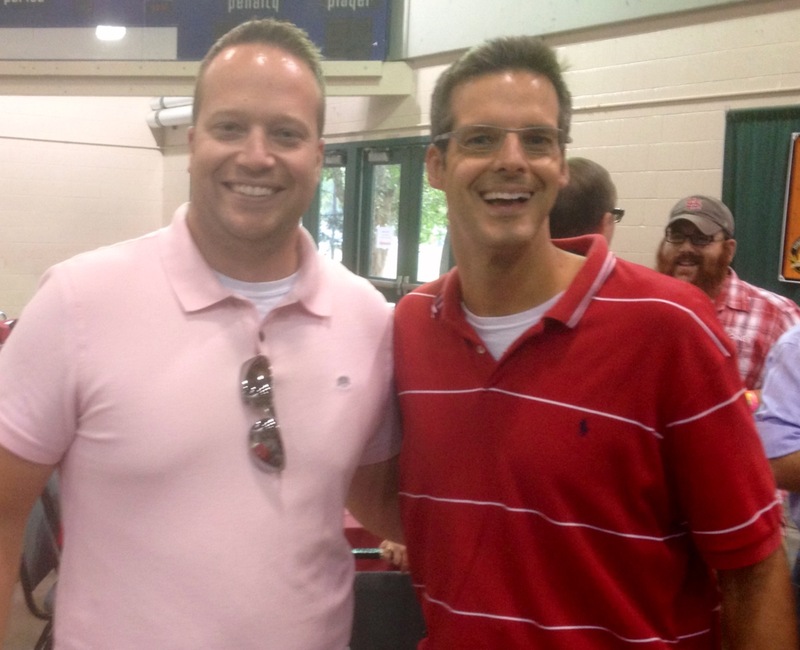 Also on hand, KTRS radio producer Todd Wise and FOX-2’s Tim Ezell. 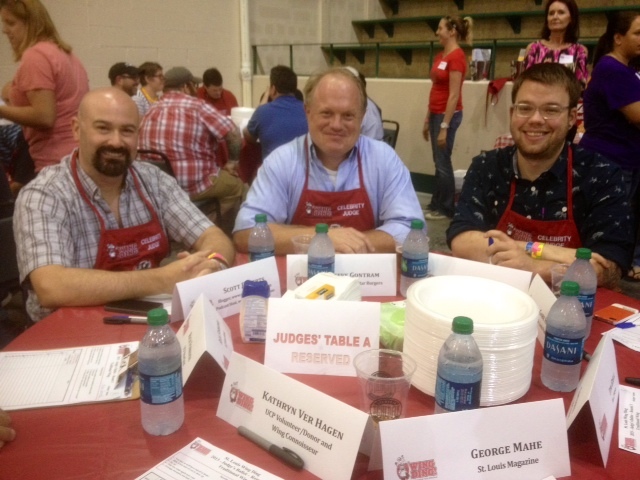 More judges: Scott Roberts of weeklyfirecast.com, Steve Gontram of Five Star Burgers and Evan Jones of Feast magazine. 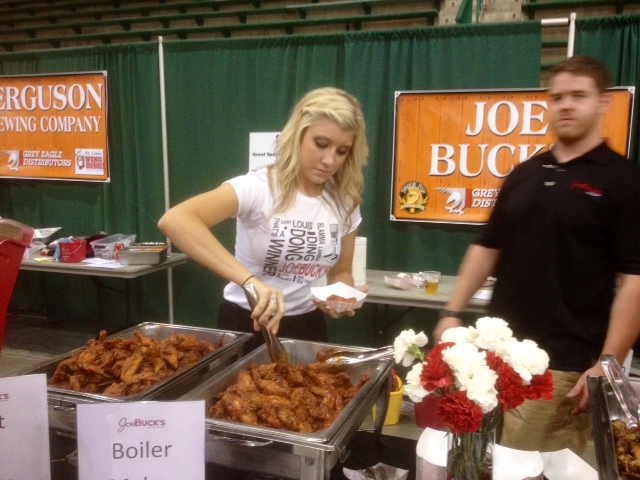 Joe Buck’s provided delicious wings to Wing Ding guests and judges. 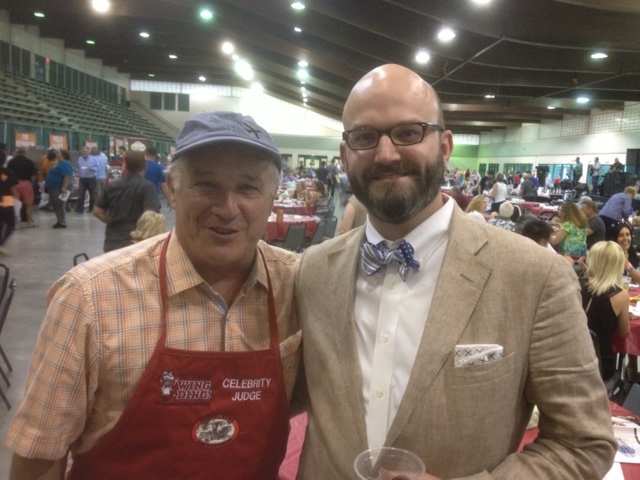 St. Louis magazine’s George Mahe visited with VIP guest Brice Donnelly. 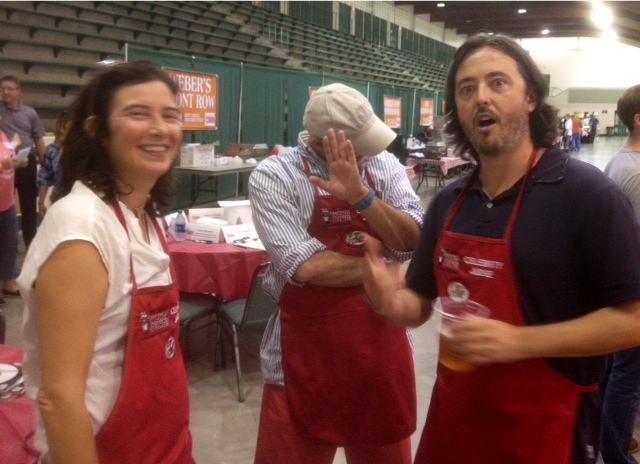 These judges were brave enough to take on the really hot wings: George Mahe, Stephanie Tolle (aka @ironstef on Twitter) and Joe Holleman of the STL Post-Dispatch. 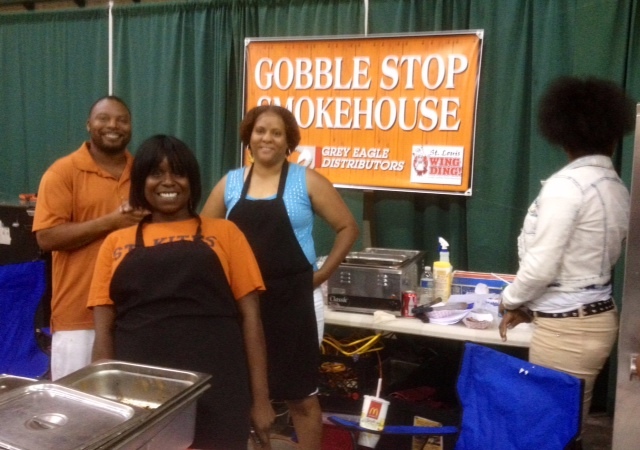 These folks from Gobble Stop on Olive at Fee Fee in Creve Coeur won the HOT wing faceoff. 2nd – St. Louis Wing Co. I have to agree: Those Chicken and Waffles wings from Three Kings (right across from the Tiv in U City) were pretty special! Hats off to Erin Wheeler Boyle and the United Cerebral Palsy Heartland staff and volunteers for staging a fun event! 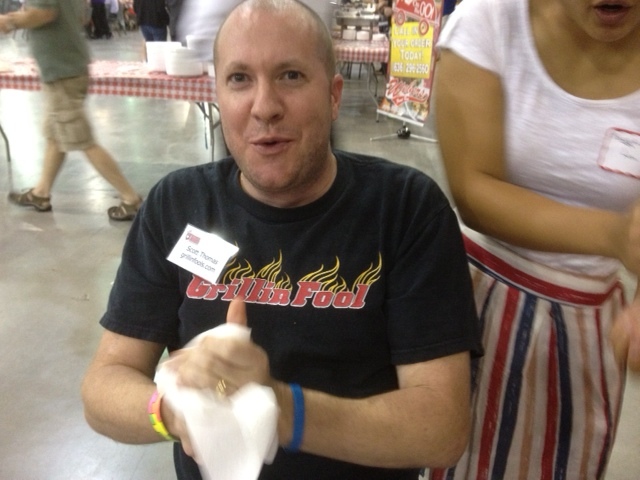 If you missed the Wing Ding but might like to make a donation to UCP to support their programs, you can donate by clicking HERE. Wings! (+ Beer and Vodka)! I am honored to be one of the judges for the competition. Last year, I enjoyed the best wings I’ve ever tasted! 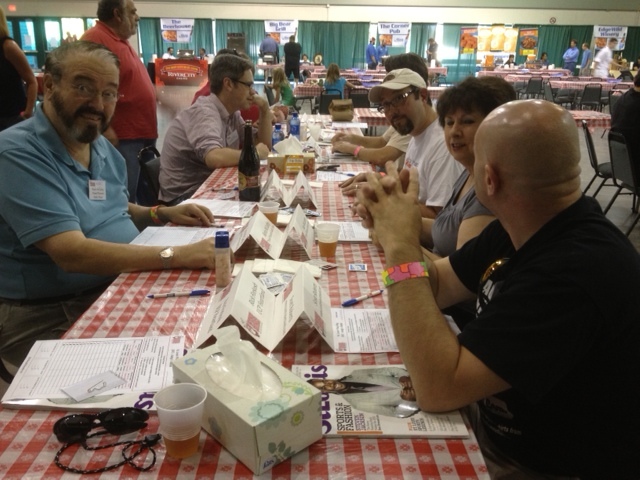 Below is a photo of one of the judges’ tables from the 2012 Wing Ding. Gather a group of wing lovers and join us this Thursday evening! Last month I finally had the opportunity to eat at the Fish Market in Birmingham. I met the owner George Sarris at Railroad Park in B’ham last year and my dad had told me that his restaurant was excellent. 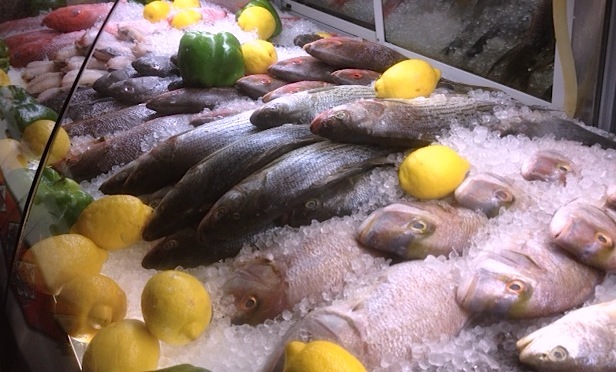 At the Fish Market you can go to the counter and order from among the many fish on display (above). 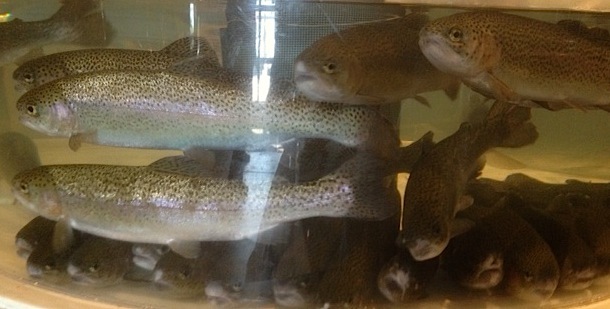 You can also select a live lobster or a live trout (below). Or you can opt for table service (as we did). 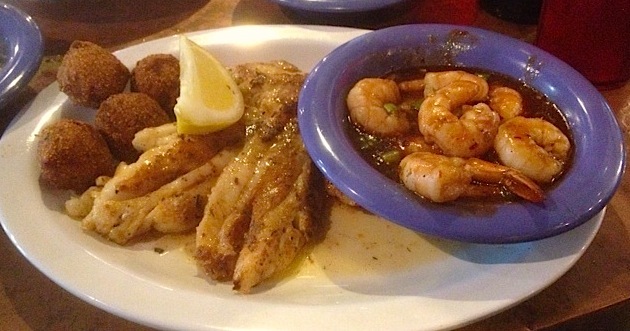 My dish was a grilled red snapper and barbeque shrimp combo, pictured below. My dad ordered (and loved) a fried fish platter. 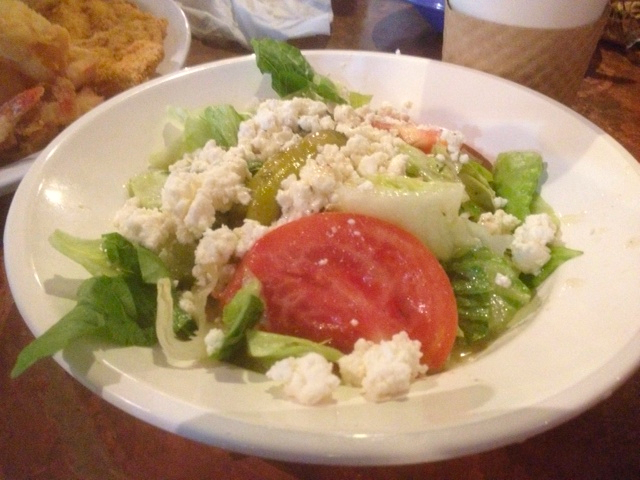 He also enjoyed his gorgeous Greek salad with feta, pictured below. If you enjoy raw oysters, The Fish Market has several different types of oysters available at their oyster bar. 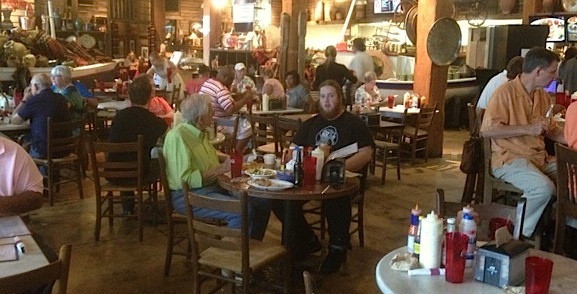 Should you find yourself in Birmingham, Alabama, check out the Fish Market. On 6th Avenue South, between 21st and 22nd Streets. 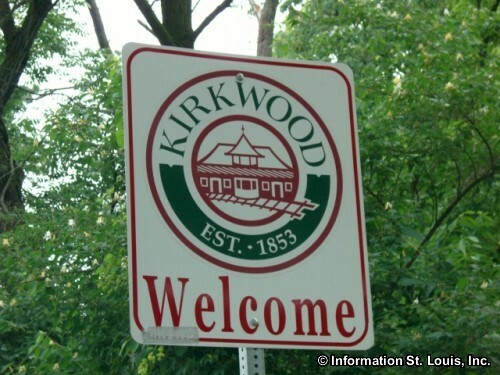 Official address is 612 22nd Street, 35233. If you didn’t click the link to the Fish Market’s website at the top of this post, click HERE for a (quick) fun video intro from owner George Sarris.